Try it with the original rubber strap as well, you won't be disappointed. VicLeChic and woodruffm like this. You stole Ted's idea for driving gloves? Jefferson Overlin and DocJekl like this. I've owned the 42mm PO 2500 three times now because of lukewarm feelings about the smaller size, but this one, a 2500D variant I got from eBay for a really good price, feels like a keeper! cybercat, woodruffm and RDK like this. Such an amazing all round watch in my opinion. 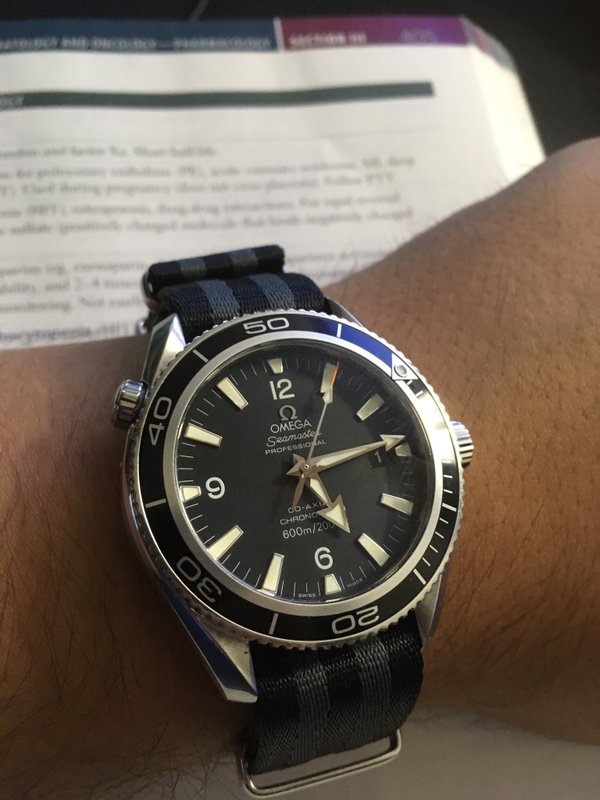 So comfortable to wear, I found the 42mm to be all perfect proportions and how the dial looked in the sunlight was beautiful. 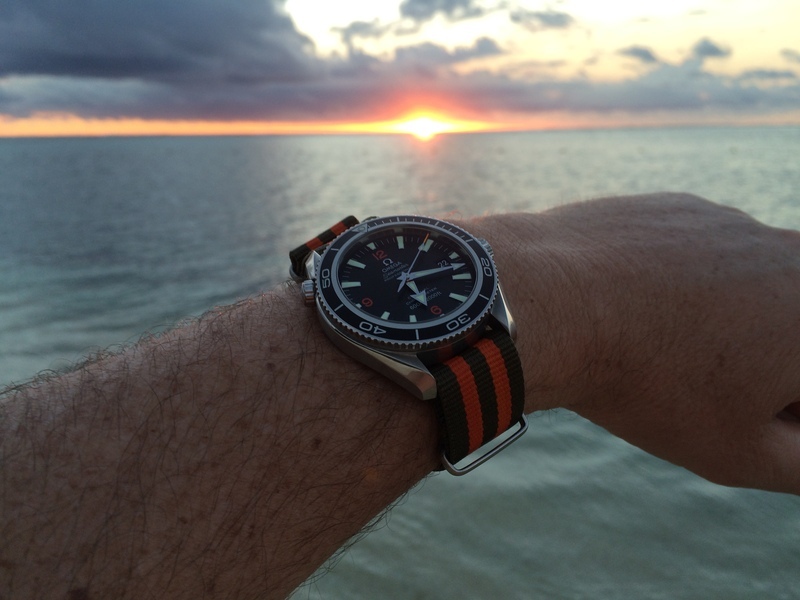 I had he orange bezel watch as my only watch so unfortunately I had to flip it as I grew tired of the orange. 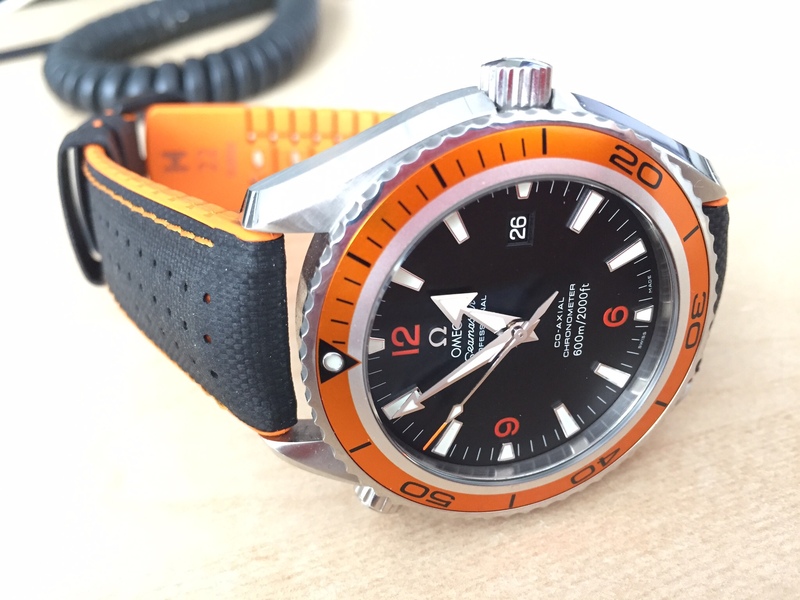 I wouldn love to own an orange to be worn in rotation in a collection but unfortunately I cannot afford to have a few luxury watches so I'm a one watch guy maximum two watches. I still prefer my 2006 42mm 2500 over the newer versions, can be classic as well as sporty. I chose black, & change the strap/bracelet for a different look/colour. Karps1987, Jefferson Overlin, snakeinthegear and 2 others like this. 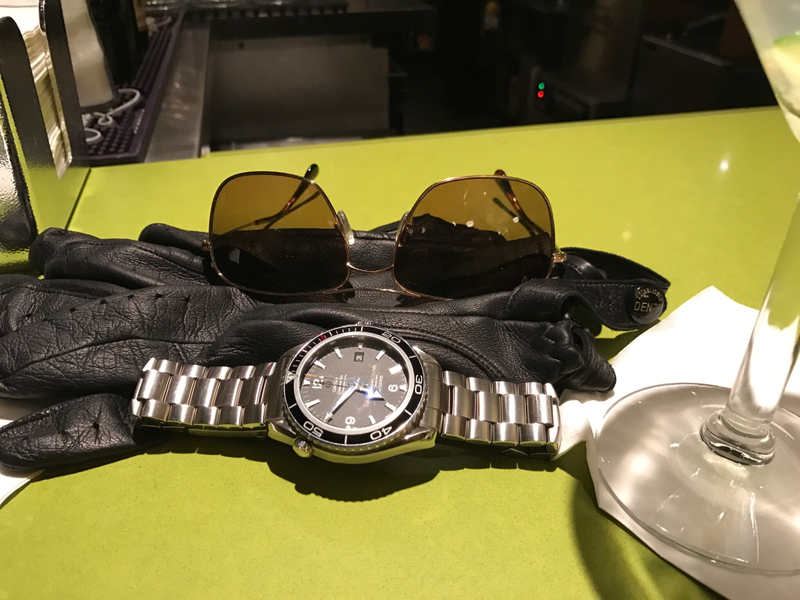 It is so crazy to me that omega designed this watch, which was a best-seller for them, then moved away from the design almost immediately. Someone needs to talk to the folks there about not fixing things that aren't broken. I could imagine the PO being a boon and an identifying watch for Omega (like the sub for Rolex) if they didn't muddy the design so much. They should have kept the curves, the thick inner bezel ring, the more serious sharp hands, and the curved fonts on the dial. Those were all very "Omega" design points, and it would have been way cool to see them executed with modern Omega tech instead of the weird busy changes they made to the design of the new POs. 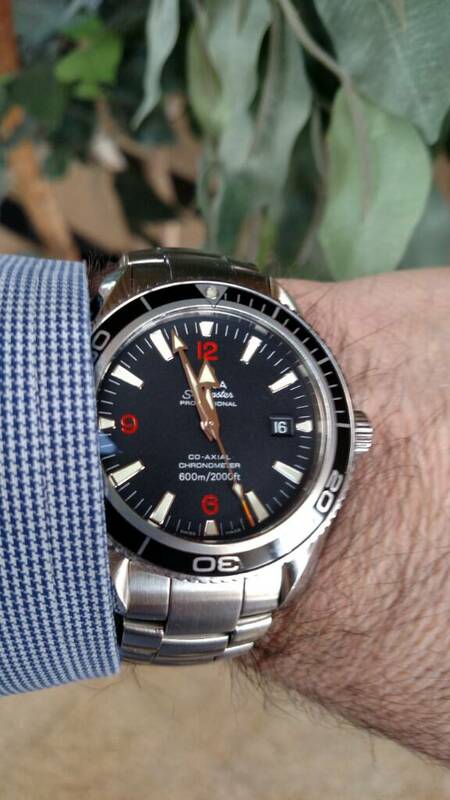 I heard they are dropping a new Seamaster 300 model (LE?) at Basel this year. I hope they go back to their roots like they did with the PO2500 without straight-up copying them, as they did with the SM300MC. cybercat, TheWatchFiend, VicLeChic and 1 others like this. I'm joining this party a little late, but thrilled to be here nevertheless​. Last month, I picked up my first PO for a decent price on eBay. It came with a good amount of battle scars so I cleaned up the bracelet with a gentle brushing using a Scotch-brite pad. That was my first experience of putting a scouring pad to one of my watches...But I trusted my fellow WUS members and got good results. It was consistently running slow 6 -7 sec/day, so I figured It was likely due for a full service--a fact I was prepared for when I bid on it. So off it went to the Chicago Omega Boutique with an expectation of dishing out $550. Lana, the OB Service Tech called a week later to report that all it needed was to be regulated and tested for WR. I picked it up today. It's now running spot on and my wallet is still full! One for the PO2500 for being a solid watch! And one for OB for not automatically shipping it to their service center for a 2 month absence from my wrist. Last edited by Civilguy007; March 17th, 2017 at 20:12.
cybercat, VicLeChic, Titan II and 1 others like this.